Work injuries happen almost every day as a result of several actions or inactions. Statistics reveal that most of the accidents that occur in the workplace always seem to have a connection to the employer, most accidents but not all, as some other accidents are either caused by third-party organizations or by the employee themselves. In order to get compensated for a workplace injury, your employer must be willing to make payment available for your care; the payment would be any sum that is agreed. In the off chance that he denies you your benefits, then you would need to convince the judge and the jury of the employer’s liability (or of a third party) for your accident. 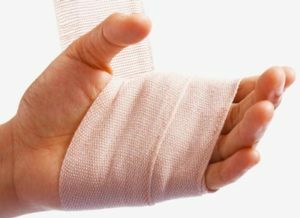 To successfully go through the negotiations and (if necessary) the court sessions, you would need to get a standard work injury lawyer who is proactive, calculative and able to manage many details. This is where we come in! Rawa Law Group is a legal outlet with a track record of helping work injury victims. We have experienced legal professionals and our over two decades of active participation in the legal scene has witnessed the settlements of our clients to the tune of hundreds of millions, making our work injury attorneys in Chino, CA, become the favorites of local claimants. We will deploy our full legal might to establish a solid case for you, one that would be corroborated by credible evidence and constructed to yield maximum compensation. Interestingly, we are ready to take on your case fully without upfront payment, until we win your case. Feel free to reach out to us now, your settlement is just a call away!